There are many reasons we humans find sport compelling: the heaving drama of what's on the line for competitors, the elegance they are able to conjure in pursuit of the main prize, and perhaps most elementally, the visceral fascination with watching our most gifted athletes grappling with and striving to overcome their limits - our human limits. Citius, Altius, Fortius. Of course, for us to even be aware of these limits we need to measure them, be they integral to the competition - the lifts, leaps, throws and sprints of the Olympics - or merely incidental, as with a 263kph tennis serve, or snooker genius Ronnie O'Sullivan's five-minute-20-second maximum break, the fastest 147 ever recorded, which had no bearing on anything else, and won him just a single frame, but shifted the sport's centre of gravity, the sense of what was possible. It was snooker's Bob Beamon moment: one giant leap for mankind. Cricket's fascination with speed is not restricted to timing the thunderbolts unleashed by Shoaib Akhtar, Shaun Tait and others committed to testing the outer limits of the body's capabilities (often at great cost to their own bodies). There are also the fastest hundreds. Indeed, cricket's own Bob Beamon moment arguably came with AB de Villiers' spectacular assault on West Indies at a pink-bedecked Wanderers in 2015, when he scooped, slapped, sliced and slogged his way to a 31-ball hundred, the fastest in international cricket. The causes were manifold, not least the multisport background underpinning de Villiers' bona fide genius. Here, then, was a fearless innovator in peak form who came in to bat - under the old playing regulations of maximum four outside the circle for the final overs - in the wake of a 247-run opening partnership in 38.3 overs that provided a perfect platform to unfurl his repertoire of strokes against demoralised opponents, as well as ample opportunity to devise a game plan. Not that his reading of the situation was entirely judicious, for with West Indies' most economical bowler, Sulieman Benn, still having three overs left, de Villiers had convinced himself that the left-handed David Miller should be sent in. Luckily for everyone save the unfortunate bowlers, the insistence of de Villiers' coach and team-mates prevailed. And, of course, the game was on the highveld, too - venue for the mythical 438 game - where the ball is said to travel 5% further, and where the pace, bounce and reliability of the pitch, allied to the ground's oval shape, opens up angles inconceivable on most other grounds. It was the perfect storm. Conditions at the Wanderers show that - unlike track and field, snooker, and other sports played under more standardised conditions - cricket's fastest hundreds aren't absolute measures. Ground dimensions and variation in pitches render precise comparison impossible. Nevertheless, these numbers still resonate, none more so than the Test record, which arguably carries the most kudos, despite the speed of hundreds being almost entirely incidental to the result. Prior to Viv Richards' famous evisceration of the England attack in his Antigua backyard, the record, whether measured in minutes or balls faced, had been held for 64 years by Australia's Jack Gregory, a 67-ball, 70-minute blitz in Johannesburg. Post-Viv, cricket managed to get through the entire careers of Virender Sehwag and Adam Gilchrist without this record being broken - although these uberdashers do share 11 of the 60 fastest Test hundreds (chuck in David Warner, Chris Gayle and Brendon McCullum and it's 20 of 60). In the end, the honour of equalling the record fell to the tuk-tuk, hitherto an imposter in batting's fast lane, an old man with his foot on the wrong pedal. But then somebody pimped his ride and a turbocharged Misbah-ul-Haq smote Australia's spinners all round Abu Dhabi. 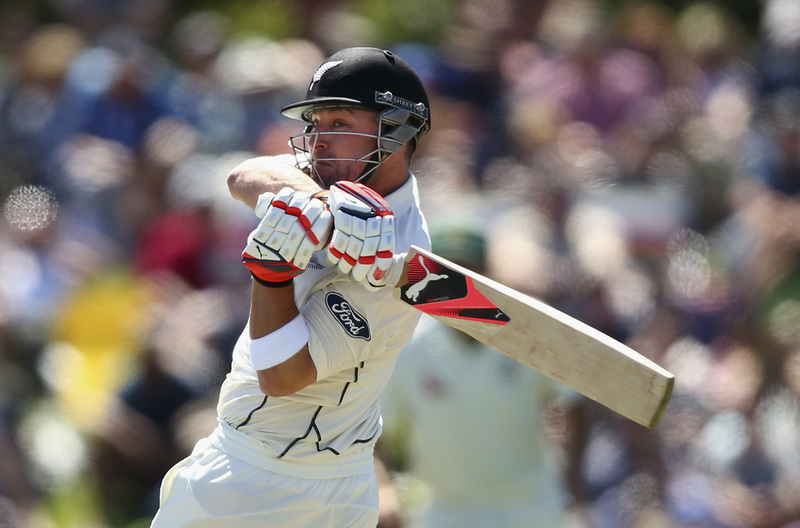 He held a share of the record for 475 days, before McCullum signed off from Tests with a world record, coming into the troubled waters of 32 for 3 in the 20th over, and as ever, taking the most positive of the positive options. How long will 54 balls survive? How long before an IPL-honed, guns-is-runs biffer comes in at 360 for 4 and has the day of his life? 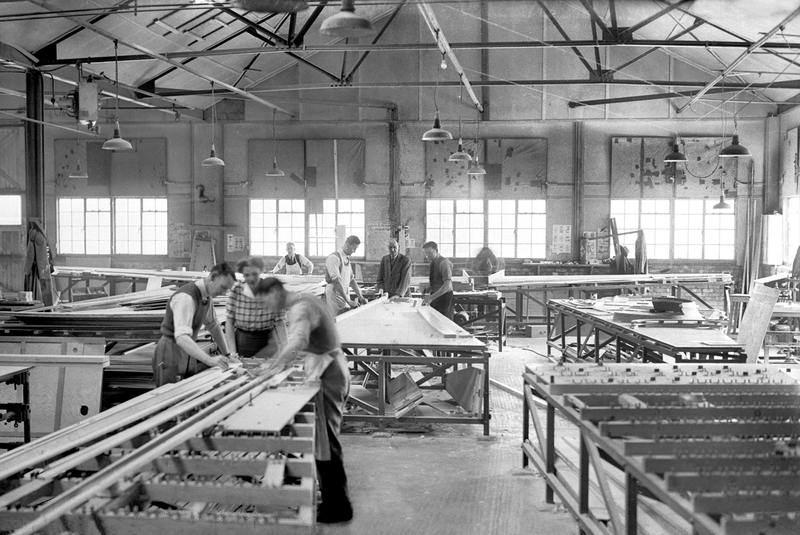 One Englishman who combined a fancy for cricket with a fascination for speed was Sir Walter Lawrence, a master builder with a successful joinery works in the Hertfordshire village of Sawbridgeworth. Lawrence's love for the game was fulsome - he built the village club a new pavilion and himself a pitch in the grounds of his Hyde Hall residence, which hosted traditional country house games featuring most of the first-class counties - yet he was particularly partial to the derring-do of the dasher. So, in 1934, he decided to award the scorer of the fastest hundred in the English first-class season a prize of £100 (around £6570 today) and a trophy bearing his name. These days the winner receives a cheque for £3000 at an annual function in the Lord's Long Room - attended by, among others, a gaggle of cricket scribes invited to predict the number of balls faced in the winning century - with further awards for the highest individual scores in women's, university and schoolboy cricket. The inaugural winner of the Walter Lawrence Trophy (WLT) was first-class cricket's second-most-prolific run-maker: Kent and England opener Frank Woolley. In those days of Charlie Chaplin over rates, centuries were measured in minutes rather than balls and Woolley's 63-minute effort in Dover was partly helped along by a blithely Corinthian Northants team getting through 20 overs an hour. Woolley was followed by Somerset's Harold Gimblett, the only man to win the trophy with his debut first-class innings, a blazing counterattack against Essex at Frome, later immortalised in verse by Punch magazine. Having been rejected as a trialist, Gimblett was given a last-minute call-up. He missed his bus, hitchhiked a ride to the ground in a lorry, and, coming in at No. 8 with the score 107 for 6, unfurled a 63-minute century that allowed his team to win by an innings. The instant celebrity proved something of a burden for this somewhat saturnine man, and in 1954, the summer after being named one of Wisden's Cricketers of the Year, having spent 16 weeks in a psychiatric hospital undergoing electro-convulsive therapy, Gimblett left the game for good. Over the next four years, the WLT was won by Joe Hardstaff, Hugh Bartlett and twice by Les Ames. Then, in November 1939, two months after the outbreak of war, Lawrence suffered a fatal cardiac arrest. With his son Guy not having inherited any affinity for the game, the trophy remained in abeyance upon the resumption of first-class cricket in 1945. It wasn't until Guy Lawrence's death and the inheritance of the trophy by his son-in-law Brian Thornton that the season's fastest hundred again brought more than just headlines. The WLT didn't resume under the same rules, however. From 1966 to 1969, it went to the scorer of the fastest Test hundred for England in the calendar year - now measured in balls faced, an Einstein-like recognition that time was relative in these matters, balls immutably absolute - and in 1970 to "the most meritorious innings" played for England. This explains the anomaly of Geoffrey Boycott's name being engraved on a trophy later to feature such free-spirited ball-strikers as Ian Botham, Viv Richards, Garry Sobers, Mike Procter and Gordon Greenidge. The following year the award reverted to the fastest hundred, now measured in minutes again (until 1985) and restricted to the English summer, albeit widened to include all first-class cricket and open to overseas players, who picked up the award for four straight years. Then, in 1975, came one of the more peculiar winners: the 33-year-old Essex legspinner Robin Hobbs, who smote a 45-ball hundred in Chelmsford against a touring Australian side including Jeff Thomson, Max Walker, Ashley Mallett and fellow wristspinner Jim Higgs. Having batted at No. 9 in the first innings, and with two of his team-mates incapacitated, Hobbs was promoted two spots for Essex's improbable pursuit of 353. He entered the fray at 109 for 5 and, having survived a stumping chance on 14, nudged his way to a relatively sedate 30-ball half-century. He then cut loose, rushing to his second first-class hundred in just 12 short minutes, Mallett disappearing for 27 in an over en route to figures of 7.1-0-76-1, while Higgs' analysis was 13-0-91-2. With the deciding Ashes Test just 48 hours away, Hobbs admits that stand-in captain Rod Marsh had "captained in something of a festival mood, although when I got my hundred he told me: 'Right, you've had your fun now. You'd better get out as I'm going to bring Thommo back on.' Well, I didn't particularly want to hang around for that, and I got out off the very next ball, caught in front of the sightscreen. When I got back in I got an almighty bollocking off [former Essex captain] Doug Insole for not seeing Brian Hardie through to his hundred." 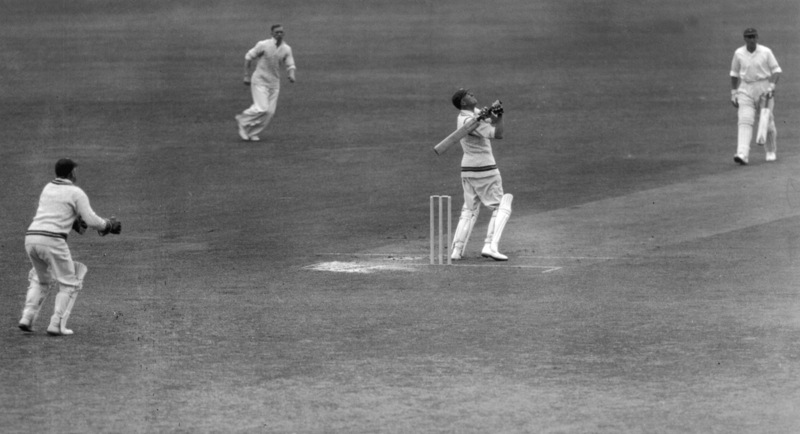 Hobbs wasn't the only WLT winner to have dipped his bread against tourists - Les Ames did so against the Indians in 1936, while Matthew Maynard scorched a 73-ball ton at Neath against the 1993 Australians. Nor was Hobbs the only specialist bowler to come in and make such merry mayhem that they rattled off the season's fastest ton. Ian Austin did it in a Roses match in 1991, while ten years earlier the fearsome Sylvester Clarke reached three figures for the only time in his career, against Glamorgan in Swansea, and when the game was on the line too. Largely thanks to Clarke's (wholly apposite, some might say) figures of 6 for 66, Glamorgan mustered just 132 in reply to Surrey's equally miserable 131. Surrey were then floundering on 166 for 7 when "Sylvs" strode out; 62 minutes later he had an unbeaten hundred, and Surrey went on to win by 124 runs. Of all the rule changes that the WLT has incorporated, perhaps the most significant tweak was the 1991 prohibition of centuries scored against "contrived bowling" - something of an unavoidable staple of three-day Championship cricket, which has even led to the establishment of an Adjudication Panel featuring Mike Atherton and David Gower. The first WLT-winner to avail himself of such stat-boosting bounties was Chris Old in 1977, while the last, the straw that broke the camel's back, was Tom Moody's 36-ball, 26-minute stint at the buffet for Warwickshire at Swansea in 1990. However, perhaps the most infamous of the contrived WLT-winning innings was makeshift Lancashire opener Steve O'Shaughnessy's 35-minute effort for Lancashire on the final day of the 1983 season, which equalled Percy Fender's 63-year-old record for the fastest first-class hundred, although it wasn't recognised as such by Wisden, for whom such innings were relegated to a begrudging footnote. With the opening five sessions lost to rain, Lancashire's first innings of 236, finishing mid-morning on the final day, had largely involved Leicestershire trying to lower their over rate for the season and avoid a fine. Leicestershire then opted to bat, pursuing a bonus point to secure fourth place in the Championship, when two forfeited innings would have set up an interesting chase. Having scored the requisite 150 runs and seemingly killed the game, they threw up another surprise by declaring. In the truncated 35-minute session that followed, O'Shaughnessy, who reached his hundred from the final ball before tea, added 190 with Graeme Fowler - who had ten successive scoring shots that went for six, another world record - largely off the bowling of David Gower. Having received a congratulatory telegram from Fender, O'Shaughnessy paid him a visit in Sussex two days later. By then blind and wheelchair-bound, Fender asked to feel his guest's bat. "Thank you," he said, running his hands along its contours. "It was very good of you to come all this way to give it to me." Although Fender quickly revealed he was jesting, O'Shaughnessy, momentarily dumbfounded, later admitted he wouldn't have had the heart to turn the old man down had he been serious. Scratch the gift-wrapped hundreds against contrived bowling, the cheap hundreds in rain-ruined matches going nowhere, the hundreds in barely first-class fixtures against the universities or ones against demotivated tourists resting their best bowlers or in jeopardy-free T20 pool matches, and which WLT-winning innings would be the champion of champions? Context, of course, is all, and so a case could be made for a pair of T20 quarter-final innings in Hove. Either Scott Styris' ferocious 37-ball assault on Gloucestershire in 2012, the fastest WLT-winner in terms of balls faced, or perhaps another bowler with license, David Willey, who in 2015 took Sussex - Tymal Mills, Chris Jordan, et al - to the cleaners. Incidentally, Hove has been something of a hotspot, having seen five WLT-winning knocks, equal second-most common venue with The Oval and St Helen's in Swansea, a ground where Sobers once took a liking to Malcolm Nash. Leading the way with nine, rather appositely, is Canterbury's St Lawrence Ground - including season's fastest knocks from Gilchrist, Darren Lehmann, Alan Knott, Asif Iqbal and Carl Hooper, who on his Kent debut became only the third man in 145 years to clear the famous old lime tree. It was the lightning-quick Oval pitch of the late-'80s that saw the sole WLT-winning innings made in the cause of a County Championship title, although Graeme Hick's 79-ball effort in 1988 led only to a draw. But then over half of WLT wins, pre-2008, came in draws. Buckles are easily swashed in such circumstances. In that sense, perhaps the most impressive WLT-winning effort was Botham's at Taunton in 1982, a year on from his annus mirabilis. Somerset were left to chase 312, but when Viv departed at 149 for 4, out through the revolving door strode Beefy, who bludgeoned 131 of the next 163 runs in an ultimately comfortable five-wicket win. 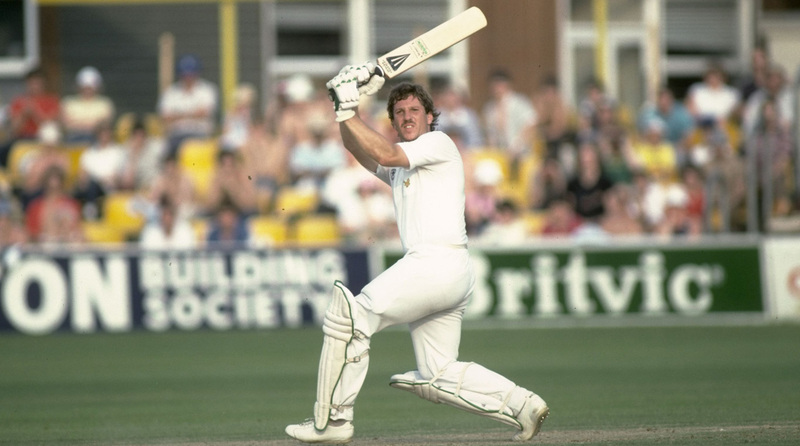 As if that weren't enough pain for Warwickshire, Botham took them for a 50-ball hundred three years later (this time, it was 138 of 169 runs while at the crease), making him one of only three men to have multiple WLT wins. King Viv eclipsed Botham's 50-baller with a 48-ball evisceration of Glamorgan the following year - it's always poor old Glamorgan, the team on the wrong end of the most WLT-winning knocks, including Viv's 66-minute workout in a tour match in Swansea in 1980. Viv's West Country carnage - 102 out of the 115-run partnership he shared with Peter Roebuck - came just three weeks after his 56-ball effort in Antigua. 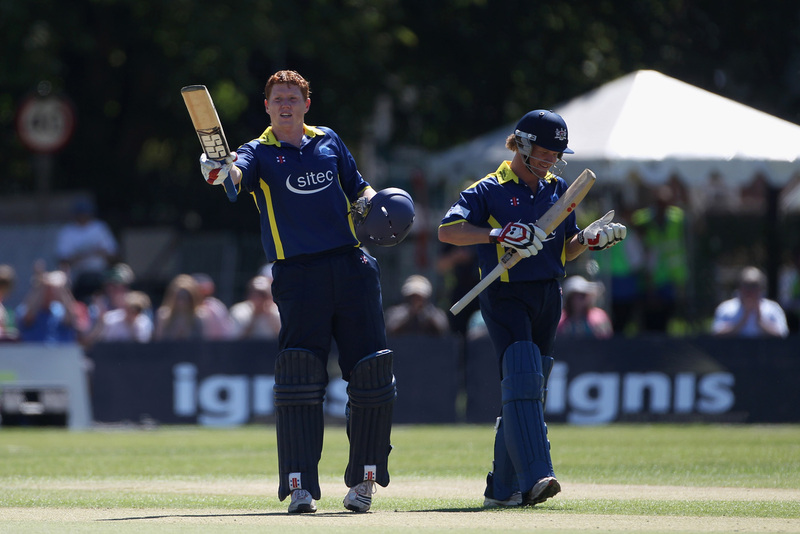 Likewise, in 2011, less than four months after playing one of the all-time great World Cup innings for Ireland, Kevin O'Brien ambled out at Uxbridge and pummelled a WLT-winning 44-ball hundred for Gloucestershire. Perhaps you just get the taste for these things. Reflecting on the circumstances of his ODI world record, de Villiers recognised that he had "felt no fear of getting out, and that's when a batsman is at his most dangerous". His mindset going in had been to "not allow any dots, to inject momentum and not slow things down". He had 34 before West Indies were successfully able to log a dot against his name. Gayle, who gave AB an admiring pat on the shoulder as he walked off that day, is the only person to have scored a faster hundred in professional cricket: off 30 balls for Royal Challengers Bangalore in 2013. It makes you wonder: where will the record end up? T20's effect on batsmanship across all formats would suggest that these numbers will come down still further. Last year, the magnificently monikered Iraq Thomas blazed a scarcely credible 21-baller in Trinidadian club cricket. If that seems as unattainable in the professional game as de Villiers' ODI record, there is still a fair bit of scope for the Test and T20I records to tumble, given the right blend of circumstances. On top of the aforementioned ingredients of AB's perfect storm, we could add the information factor, both the digital scoreboards on which balls faced routinely appear, as well as a heightened awareness of the records, either lodged in the players' minds or via PA systems keen to notify the crowd that a landmark is in the offing. Perhaps a Walter Lawrence award for international cricket - a cash prize or a mace-like trophy - would act as an incentive. Such decoration might initially mean little to the players involved, just as breaking the record might mean little in the narrow scheme of things: winning a match as part of trying to win a competition. It may even lead to a sort of gaudy Ballon D'Or-ification, where such individual prizes cease to simply be trivial adornments achieved in the broader pursuit of team goals and end up becoming detrimental to collective objectives. Even in cricket, where the pursuit of individual targets can coexist harmoniously with team goals, the potential conflict, however slight, remains: a risk that would ordinarily have been eschewed is taken on, a collapse ensues, an apparently unassailable position is squandered, recriminations chafe at team spirit, and things slowly fall apart. Perhaps we don't need orange and purple caps. Nevertheless, in the wider scheme of things - that is, the human scheme of things - bringing this record down might carry some significance. In the absence of any changes to the Laws allowing for more than six runs to be scored from an individual delivery, cricket's absolute limit is 17 balls. More realistically, it may be that going beyond Gayle's 30-ball mark and down into the 20s will figure for the cricketers of our near future as once breaking the mythical four-minute mile had done for Roger Bannister. Should the stars align for some freewheeling franchise slugger to burst through that particular barrier, then old Walter Lawrence would probably have been happy to bung them £100.